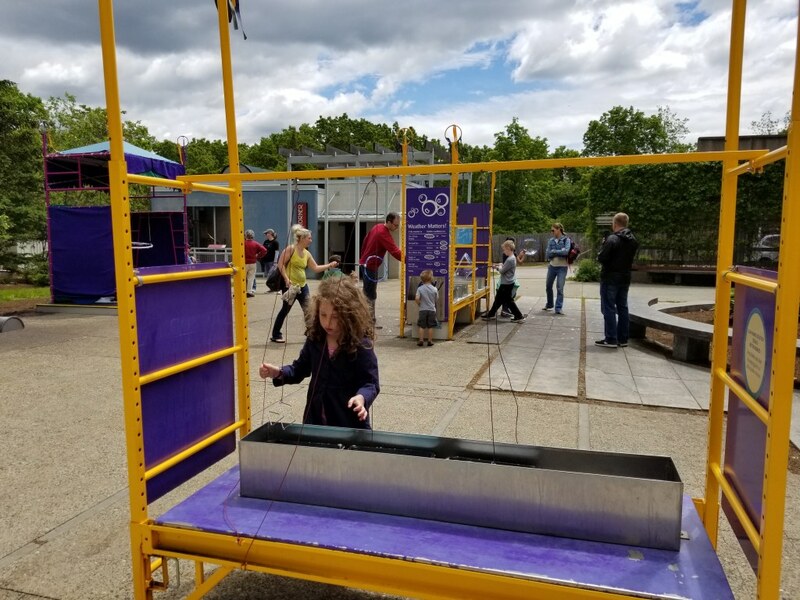 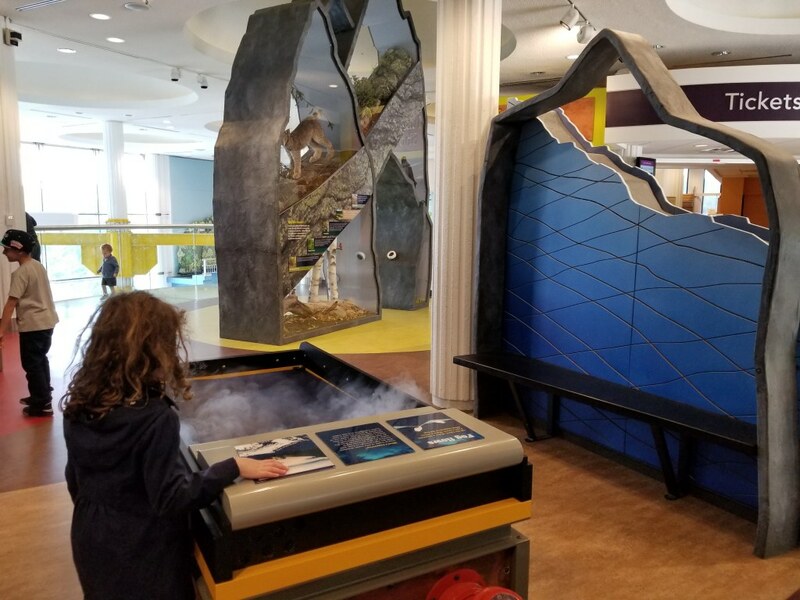 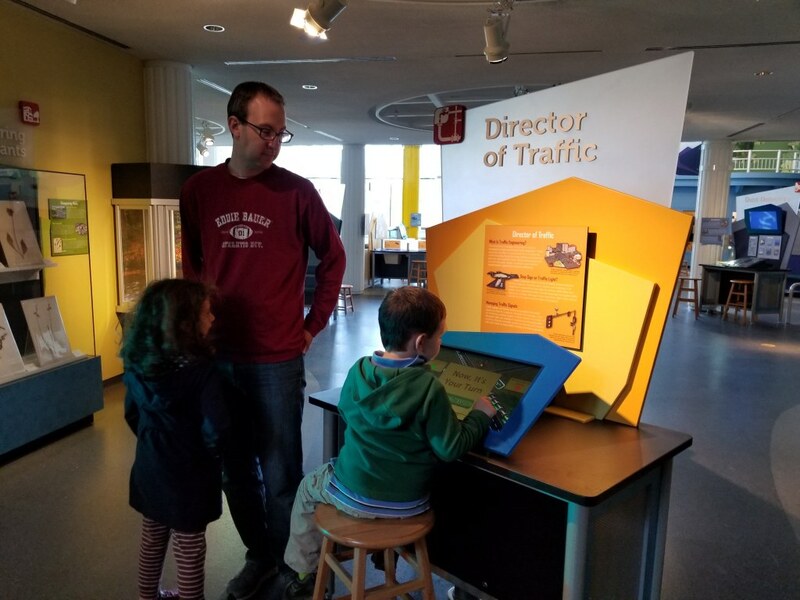 My daughter loves science and sometimes its just too much to shlep into Boston, pay for parking and tackle the Museum of Science. 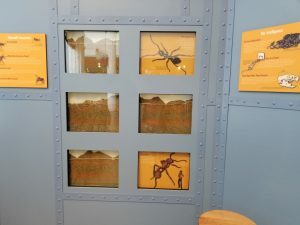 On those days, check out the Ecotarium – a much smaller version of a science museum with nature mixed in. The Ecotarium is what they call an indoor-outdoor museum. 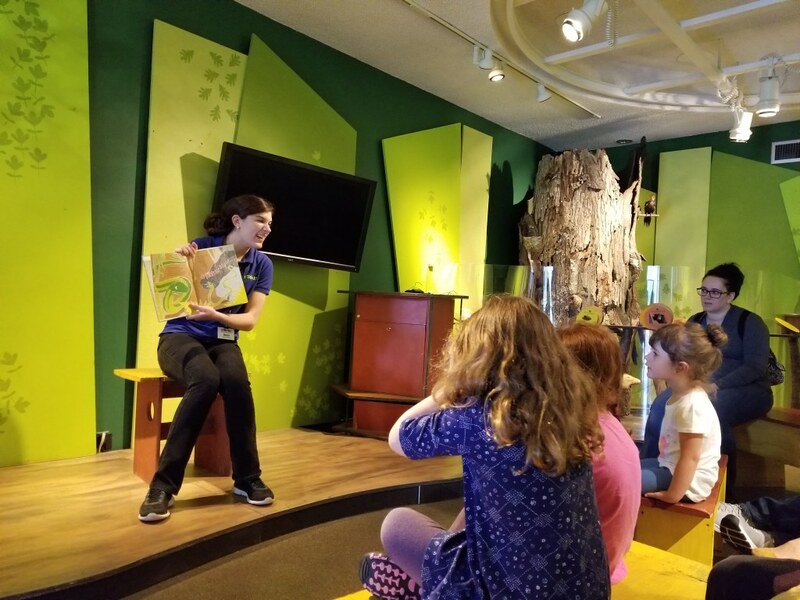 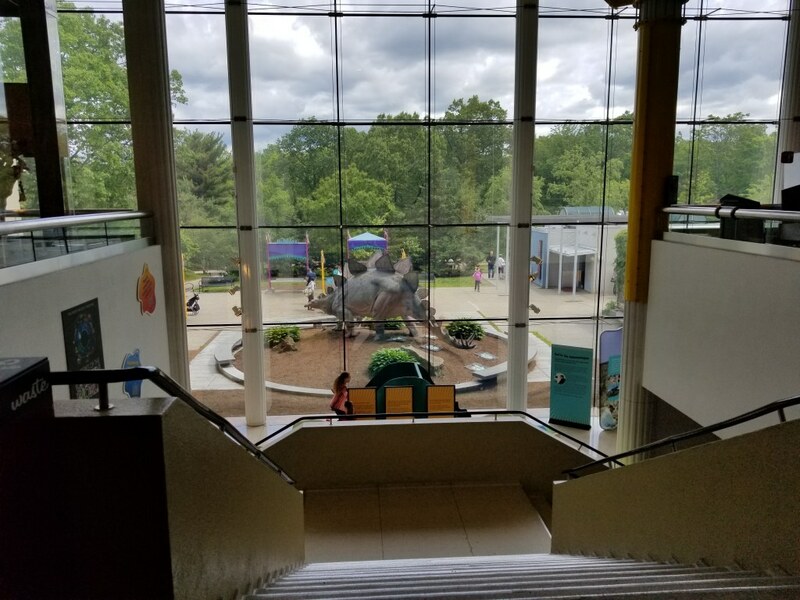 The main building has three floors of different interactive exhibits, as well as a digital planetarium and a live animal storytime/show. 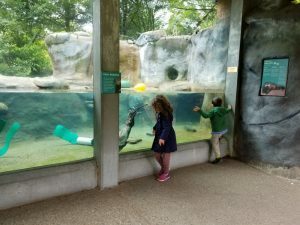 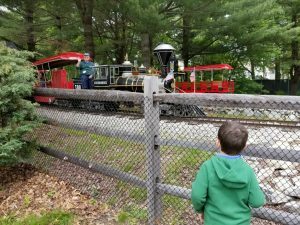 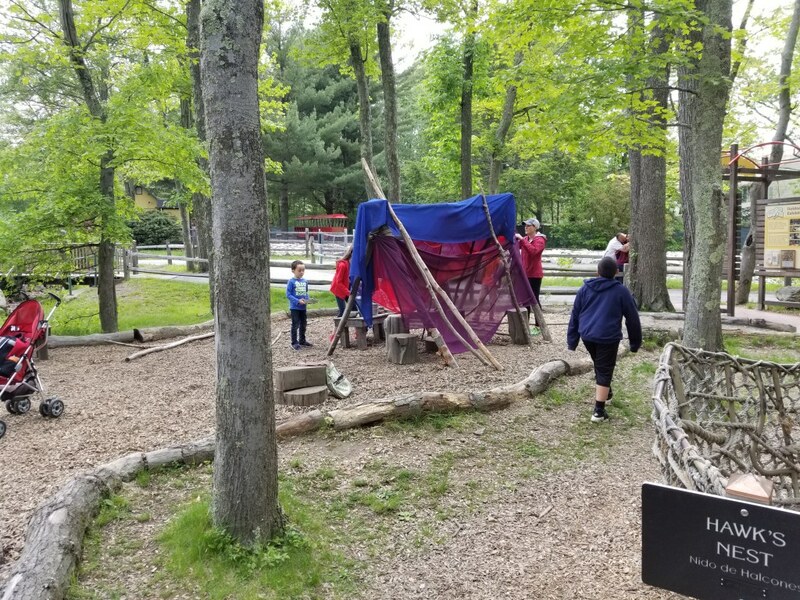 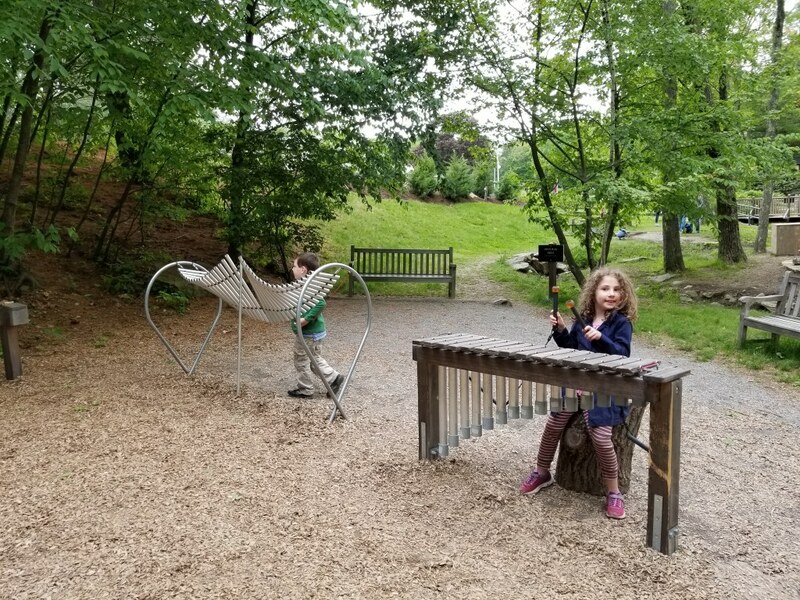 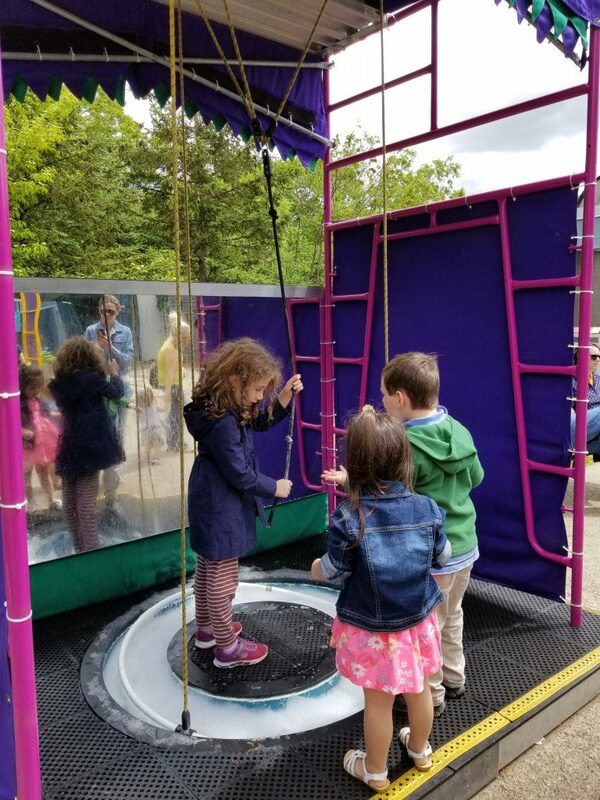 Outdoors, they have live animal habitats, nature trails galore to hike, a bubble exhibit, nature play area and best of all – a train that goes around the grounds! Both kids really enjoyed the science exhibits inside. 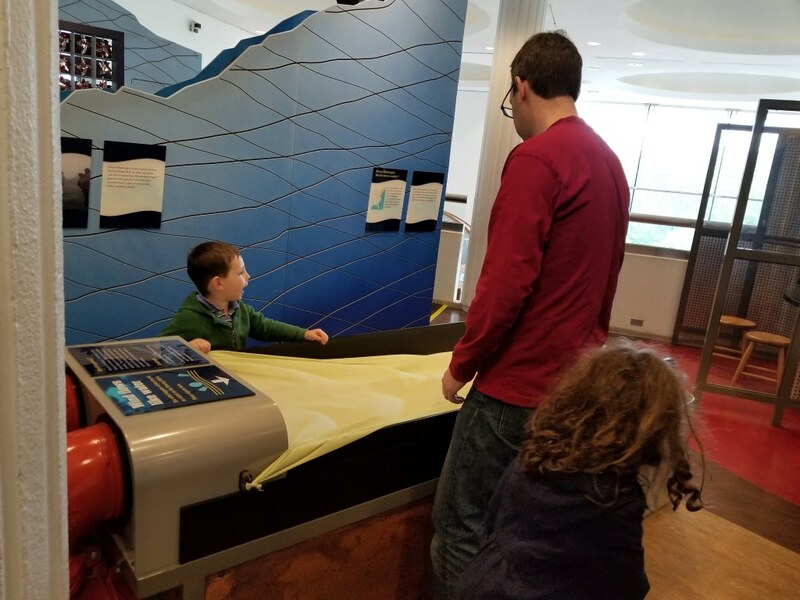 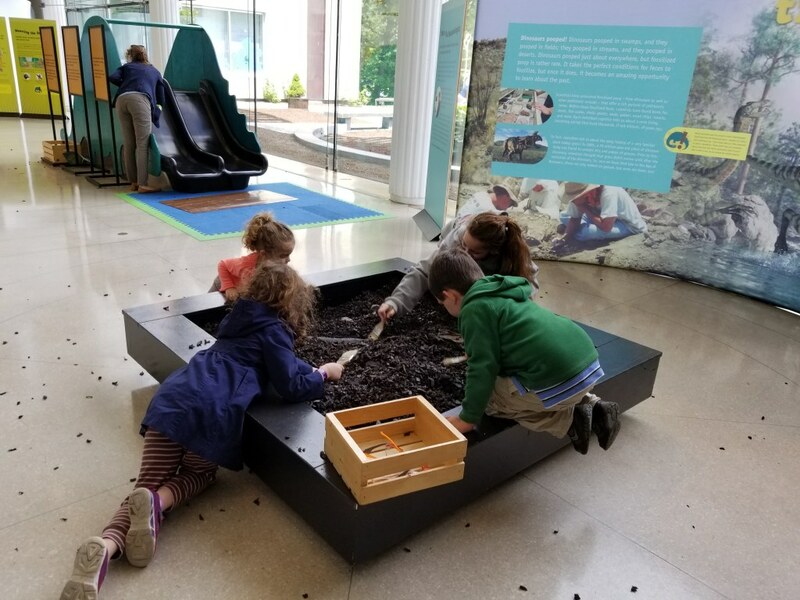 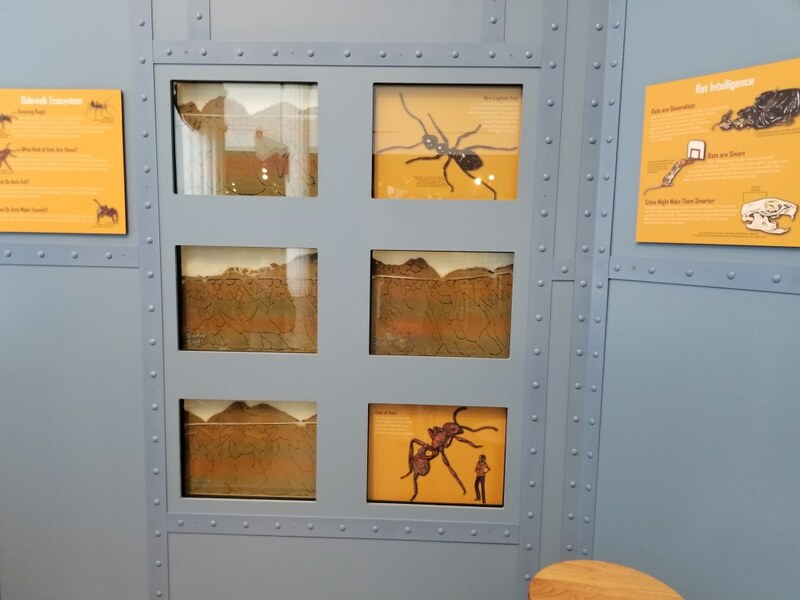 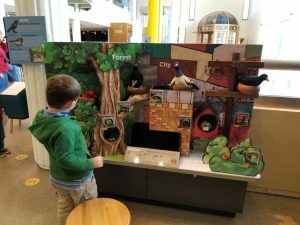 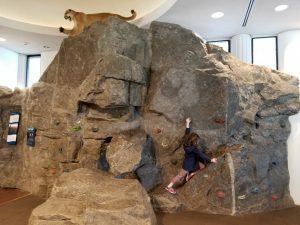 My four year old may not have understood all of the concepts, but they kept him entertained with exhibits that included things such as a rock climbing wall, a hurricane simulator, wind storms, dinosaur poop, slide and more. They had a special area for the under 5 crew as well to play and discover. 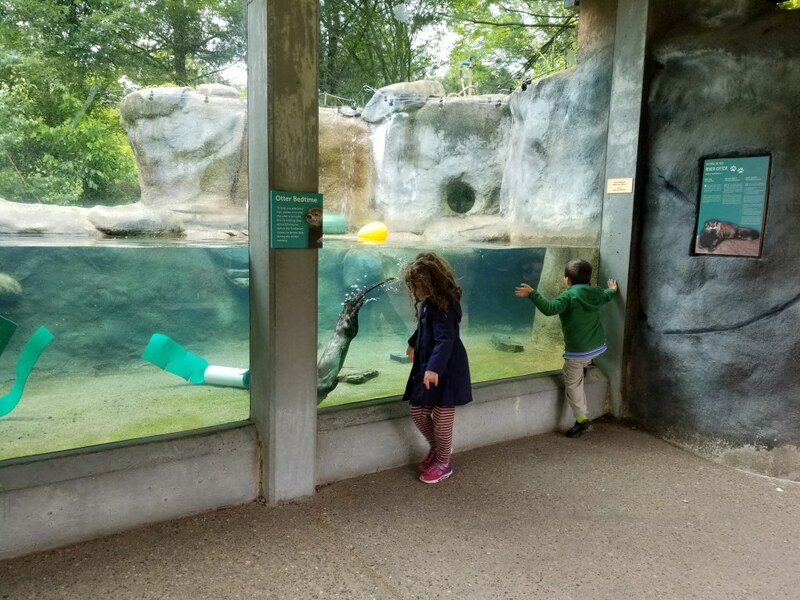 We saw river otters, owls, fox, ant farms, rats, snakes and more. The nature play area had areas to build teepees, play with water and mud, build things out of wood blocks and more. There is also a small playground near the nature play area. 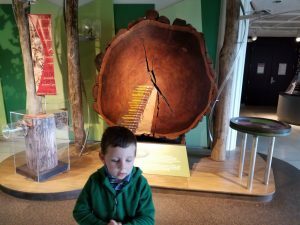 All in all, not the most exciting place we’ve been to but a different and interesting way to spend a day. 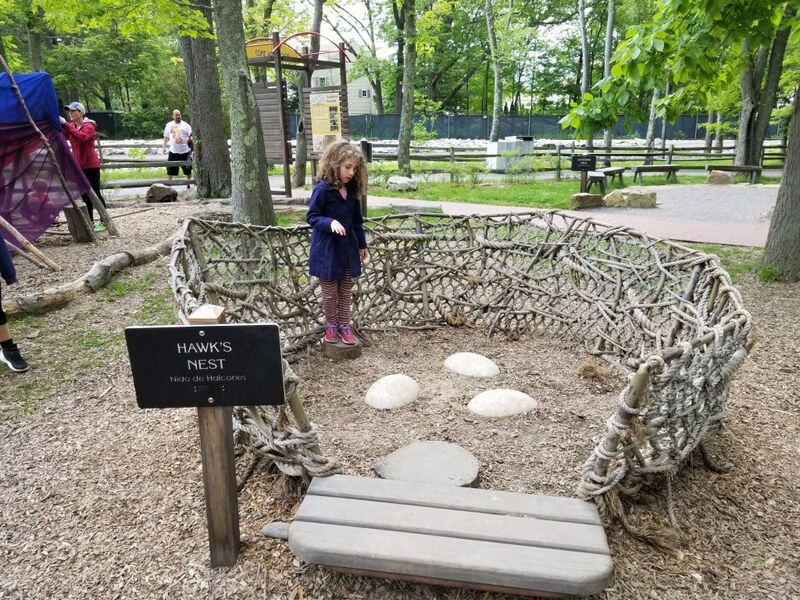 I liked that it was low key and not too crowded and brought us into nature.